This post is filed under Cheese, Egg, English Muffin, Fast Food, Hall of Shame (Taste), McDonald's, Sausage. I totally agree with the grease effect on these, but damn they’re nummy! Der, clearly you don’t like to eat. 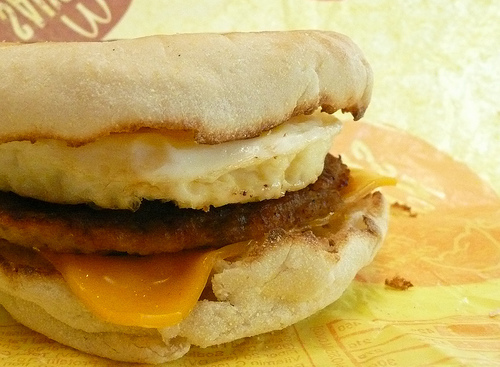 The Sausage Egg McMuffin is delicious! My wife said the exact same thing. It actually looks much tastier on the “real” picture. blasphemy! 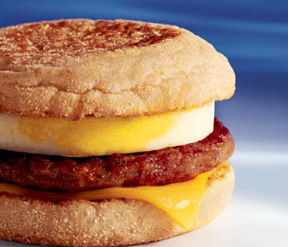 the double sausage muffin is the only decent thing mcds does! !